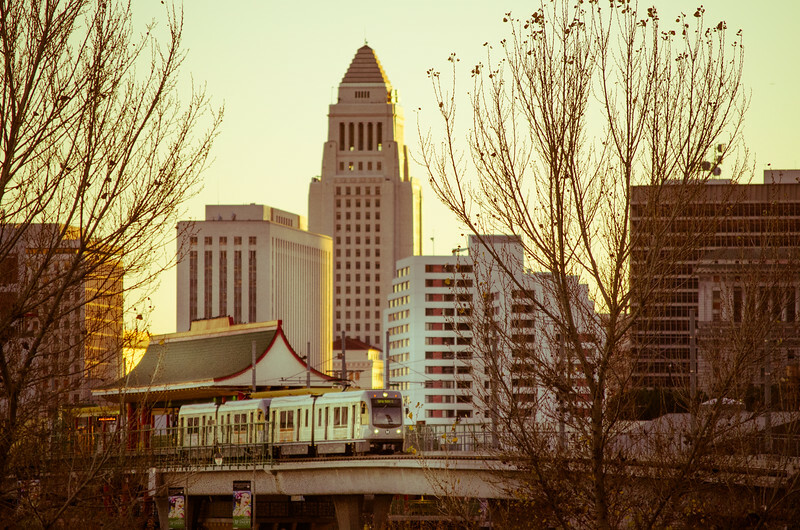 I took this one earlier this month for work -- that's the Gold Line leaving the Chinatown Station in downtown Los Angeles. The iconic City Hall building is in the background. The photo was taken from a small hill in Los Angeles State Historic Park a few minutes before sunset. I used a telephoto lens to help compress the distance and then played around with filters in Adobe Lightroom.